Bitcoin Mining Hardware in order to obtain a 64- digit value. As we know Bitcoin is a type of new age digital currency which was invented in 2009 by an anonymous inventor under the name of Satoshi Nakamoto. When it was first introduced, most of the people who showed interest in it were those who were obsessed with cryptocurrency and took Bitcoin mining as a hobby. But once people started getting profit out of it, as the value of Bitcoin increased over the years, more and more people started involving themselves with Bitcoin thus, turning Bitcoin into a business. Mining machines have evolved over the years. Initially, when Bitcoin was invented, the inventors intended the miners to use their CPU (Central Processing Unit) as mining machine for mining the Bitcoins but soon it was realized that it is not fast enough and also it bogged down the computer systems. Later on, it was found that GPU (Graphics Processing Units) accelerate the whole process of Bitcoin mining as it could hash data 50 to 100 times faster than CPU and also it consumed power comparatively low. In 2011, a new industry was rising which was dedicated to improving the performance of Mining Hardware in order to enhance the Mining process. Thus, the first special FPGA (Field Programme Gate Array) was developed with the purpose to boost the process of mining and mine Bitcoin at a faster rate. Although, it consumed power lower than CPU or GPU power consumption still was a problem. This gave way to the development of ASIC (Applications Specific Integrated Circuit) chips which are designed exclusively to solve Bitcoin block faster and hence mine Bitcoin at a faster speed while consuming a low amount of power than any previous mining machines. ASIC hardware is considered as the best mining hardware in today’s world. Nowadays, getting profit out of Bitcoin Mining is difficult without the use of specialized hardware called ASIC’s. ASIC are solely developed to solve Bitcoin blocks at a faster rate and more efficiently, hence being profitable to the miners. Most of the serious Bitcoin Mining is performed on the ASIC Hardware usually located in thermally-regulated data-centers with excess to low-cost electricity. Today, the market is filled with various types of ASIC hardware which are manufactured by reputable companies around the world establishing themselves in this field. China holds the position for largest manufacturers of ASIC Hardware with Bitmain, a China-based company, is considered to be one of the best suppliers of it. 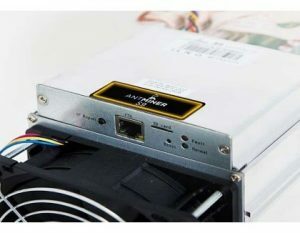 Their products such as Antminer series has been largely loved by miners all around the world and it is considered highly profitable. Companies who are involved in this field have been constantly working in order to improve their products and technology to bring to the market ASIC hardware with more efficiency, good hash rate, and less power consumption. The Bitcoin popularity has increased over the years which resulted in the rising of Bitcoin value and thus, as the Bitcoin value increases it also has an effect on the prices of the ASIC Bitcoin mining hardware. It is found out that as more and more numbers of Bitcoin mining hardware are connected to the Bitcoin network, it becomes more difficult to mine Bitcoin. Therefore, the manufacturers try to improve the ASIC technology to make it more productive pushing its limit for providing better ASIC Hardware. Before buying a Mining Hardware, there are few factors that are important to keep in mind. HASH RATE: As it is known that hash rate is the speed at which a computer completes an operation in the Bitcoin, thus higher the hash rate the better is the mining process as it increases the opportunity of the miner to solve the Bitcoin block and hence receive the reward. 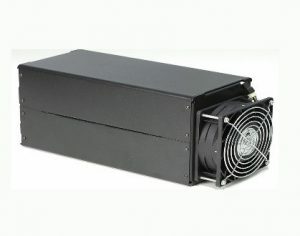 Therefore, considering a mining hardware with good hash rate can be profitable. POWER CONSUMPTION: Mining hardware usually consume high power which can lead to high electricity cost. Therefore, considering mining hardware with low power consumption is essential. EFFICIENCY: Buying an efficient mining hardware is important so that it can convert the maximum amount of electricity that it consumes into mining Bitcoin, as it is known that Mining hardware consumes a large amount of electricity. PRICE: Mining Hardware’s price usually determines how efficient it is. The cheaper the mining hardwaBitcoins it mines and vice-versa. NOISE AND HEAT GENERATION: One of the disadvantages of all the mining hardware is that it creates large noises and also generates a large amount of heat. This can create an unfavorable condition for the miners to live in. 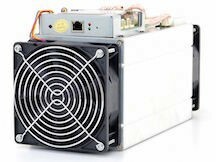 Thus, it is important while getting a Bitcoin Mining Hardware one should make sure that they have an outdoor space for the hardware to function in to avoid noises and also that proper cooling equipment is available. But if outdoor space is not available buying a hardware with less noise and heat generation is advised. It is important for one to understand that profitability of Bitcoin mining depends highly on the value of Bitcoin, i.e if the value of Bitcoin increases the profitability of mining increases and vice-versa. Thus, completely depending on the Mining Hardware for achieving profits is not desirable but yes getting a good mining hardware after considering all the factors can definitely have an effect on the profit amount. In order to find out the profitability of a particular Mining Hardware, one can use Mining Profitable Calculator. This calculator estimate approximately how much profit can one get from the Mining Hardware. It was developed so that people can calculate the profitability of a specific Mining Hardware to understand its profitability statics before buying or getting involved with Bitcoin. Bitcoin is a complicated currency and understanding it so that one can decide whether it is profitable or not is difficult. The prices of Bitcoin has fluctuated a lot over the past few month which has resulted in miners facing loss but from the time it was introduced, Bitcoin has definitely made its mark among people and is considered as a risk worth taking.